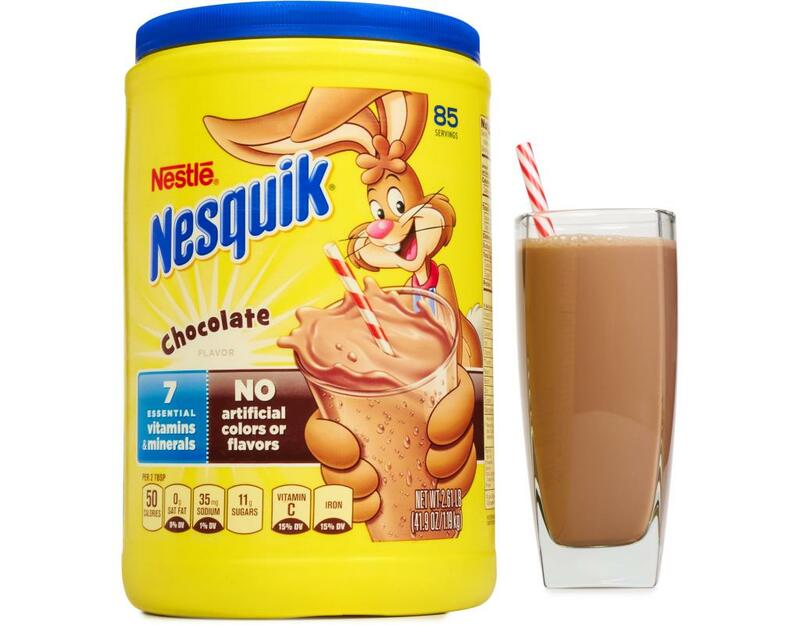 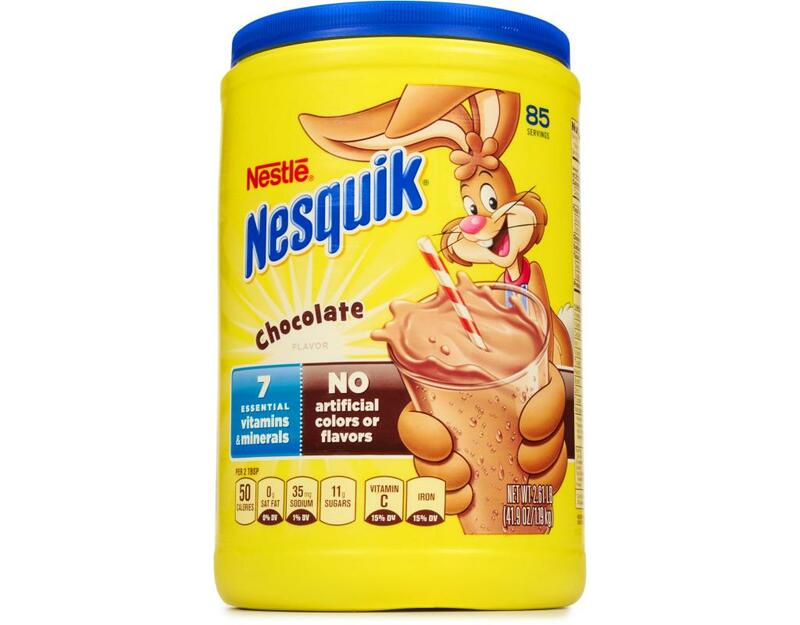 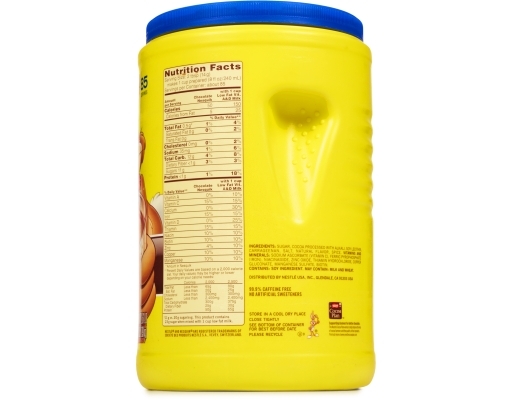 Nesquik Powder turns milk into an irresistibly delicious, extra nutritious drink for your family. Nesquik Powder has 25% less sugar than the leading syrup brand and is specially fortified with added calcium, Vitamin C and other essential vitamins and minerals to help build strong bones. 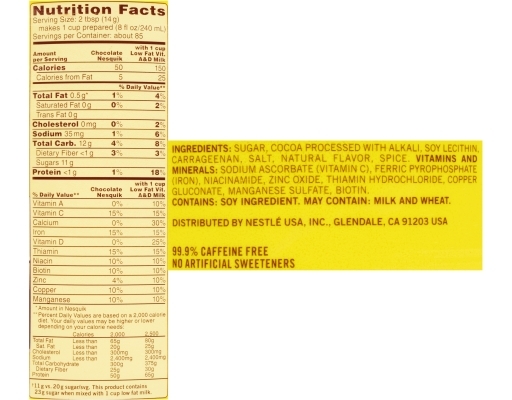 Sugar, Cocoa Processed With Alkali, Soy Lecithin, Carrageenan, Salt, Natural Flavor, Spice. Contains: Soy Ingredient. 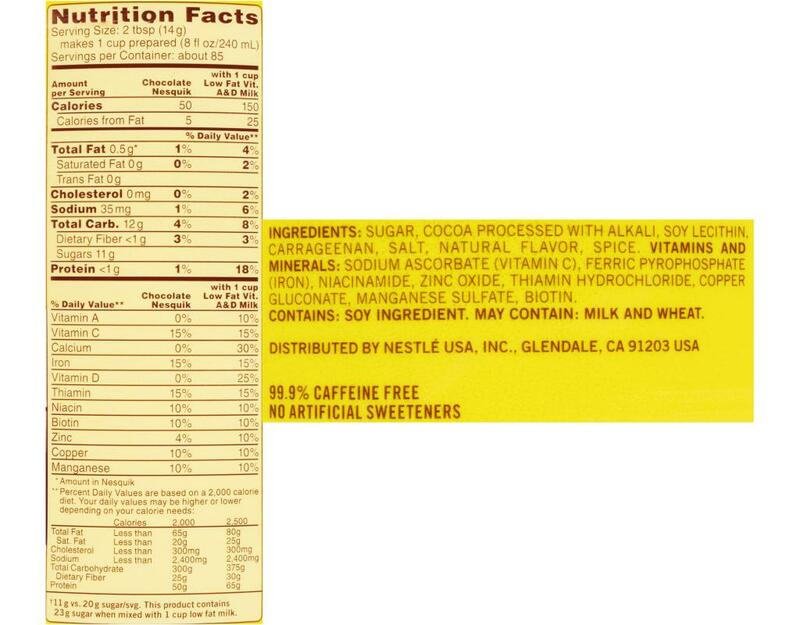 May Contain: Milk And Wheat.